Amid an increasingly flourishing landscape of organizations that support military family businesses, the Coalition for Veteran Owned Business emerged this past year in support. Boasting members that include WalMart, American Express, First Data, 7-11, and MilitaryOneClick, CVOB is a powerhouse coalition of organizations that aims to move beyond simply inspirational rah-rah support for military families. Instead, as one of their board members shared with me at the event, they want to provide tactical support for business owners and entrepreneurs, a crash course in business, per se. As a prelude to their coming initiatives to help military family business owners backfill the business knowledge they need, it seemed only appropriate that their first conference was held at the Cox Business School at Southern Methodist University in early November. Over the course of a daylong conference, CVOB imparted invaluable experience, not only to military family entrepreneurs, but to all military-owned small businesses, including franchise owners. They shared how the leadership skills learned by veterans and the flexibility, resourcefulness, and resilience of military families create the perfect combination of skills for a family that intends to start a business. I’ll list some of the tips on starting a military family-owned business shared by the CVOB speakers below, but if you have any to add, please share them in the comments section! Let people know that your business is veteran owned! Vetrepreneur Magazine’s editor shared that an astounding 65% of people are more likely to purchase your product or service if they are aware of your veteran-owned business status. Don’t try to “make do” with a series of systems and programs. Use technology to your advantage by identifying the systems and solutions that will help you. Adopt those solutions to make running your business easier so that your business doesn’t run you! Prevent negative online comments that can easily squash a fledgling business. One bad comment doesn’t look too bad amid dozens of great ones, but one bad comment for a young business with few comments can spell death in our social-sourcing culture. Track your business analytics with apps such as OwnerListens and DropThought to get immediate feedback from your customers. If they can share their feedback with you, the owner, then unsatisfied customers are far less likely to yelp their pain to the world. Protect yourself through execution, not intellectual property. Outsource because you can’t do it all. Identify what only you can do, and look for other solutions to help you meet the rest of the needs of your business. Use programs such as ZenDesk to help with troubleshooting. When you need graphics, writing, or programmers, reach out to good freelancers through Elance. It’s vital to recognize that in order to grow a business--particularly if you’re starting while you’re still active duty--then you need help. Invest what you’d spend on an MBA on a franchise, and learn business hands on. You may have an entrepreneurial streak, but without any business acumen to back it up, all you're left with is a good idea and no money. VetFran, a member of the International Franchise Association that supports veterans who want to enter the franchise industry, shared that by working with a franchise you can understand business. 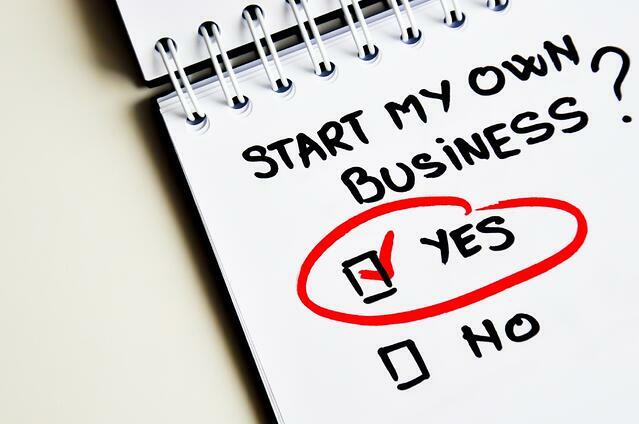 Ideally, you’ll make money doing it, sell your franchise, and then go open that entrepreneurial venture, taking the principles and skill sets from your franchise business with you. Veterans are well positioned to succeed in franchise models. Speaking on a combined panel, VetFran, UPS, and 7-11 shared unequivocally that military members are uniquely positioned to succeed in franchise models because they have the leadership skills that can’t be trained. 7-11’s representative shared that veterans enter the franchise world with an ability to learn and follow systems as well as the strong ability to hold others accountable, which is vital in business success. He explained that this is why most of the vets who enter into 7-11’s franchise family become multi-unit owners. Get a headstart on your competition by taking advantage of franchise discounts for veterans. VetFran shared that 650 companies offer discounts through them. Founded in 1991, they relaunched in 2011, and have since helped 6,000 buy and start their own franchise. They also have a mentorship program. Starting a business is costly. Prepare for your family to not earn any money for four to six months. If you are planning on opening a franchise, know that it takes an average of 90 days from selecting the franchise to buying the franchise. It can take up to a year after that, though, to select a store and prepare a site. It’s an expensive investment to begin, but if you’ve sought good mentorships, prepared yourself financially for a dry spell of earnings, and made sure that you’ve bought into a reputable franchise, then you’re well on your way to being the next big success among veteran-owned businesses!